Good evening, readers! I have the 4th mani for Negative Space Week with The Digit-al Dozen to share tonight. Squeezing in right before the deadline, but I’ve made it! For today’s look, I went with what I am calling a “rustic gradient” base and Autumn themed stamping on top for some added detail. I’ve used three of the new OPI Washington D.C. Collection for the base and I am really happy with how the colors looked together. I began by painting about 3/4 of the nail, leaving the cuticle area free, with OPI Pale to the Cheif and dragging the edges messily toward the cuticle line. After that was dry, I repeated that process on 1/2 of the nail with OPI Squeaker of the House, dragging the edges but still leaving the first color visible. 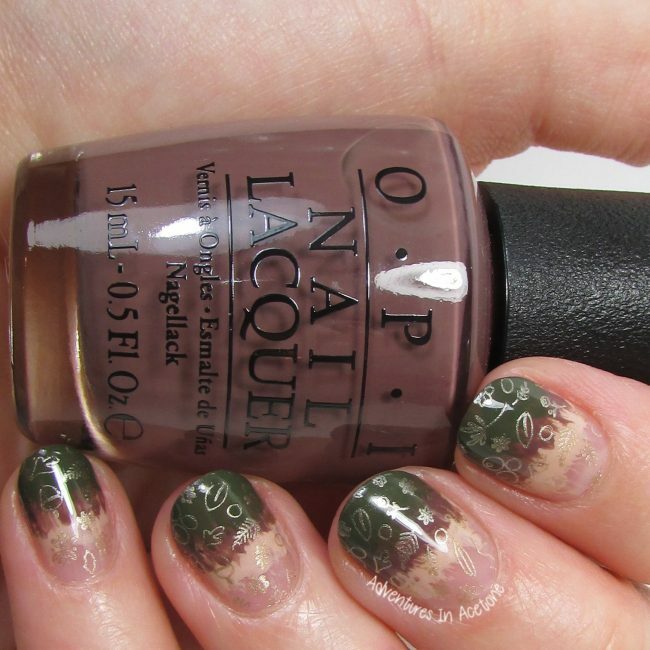 I repeated again for the last 1/4 of the nail with OPI Suzi- The First Lady of Nails. 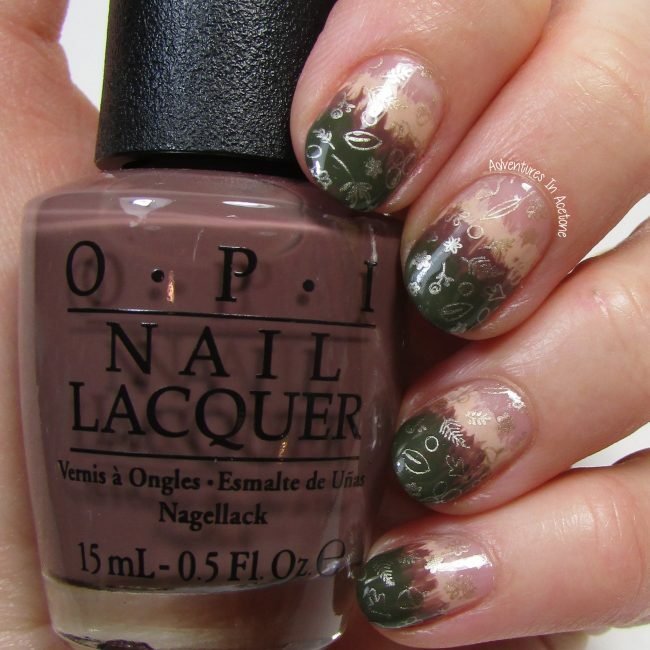 Once the rustic gradient was dried, I stamped the autumn image from UberChic Beauty plate 8-01 using China Glaze Passion. 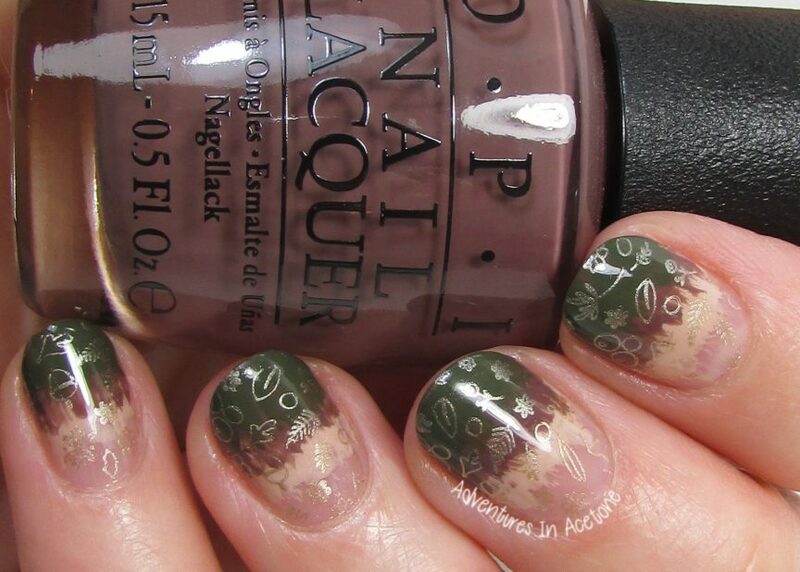 A coat of KBShimmer Clearly on Top was used to seal in the design.